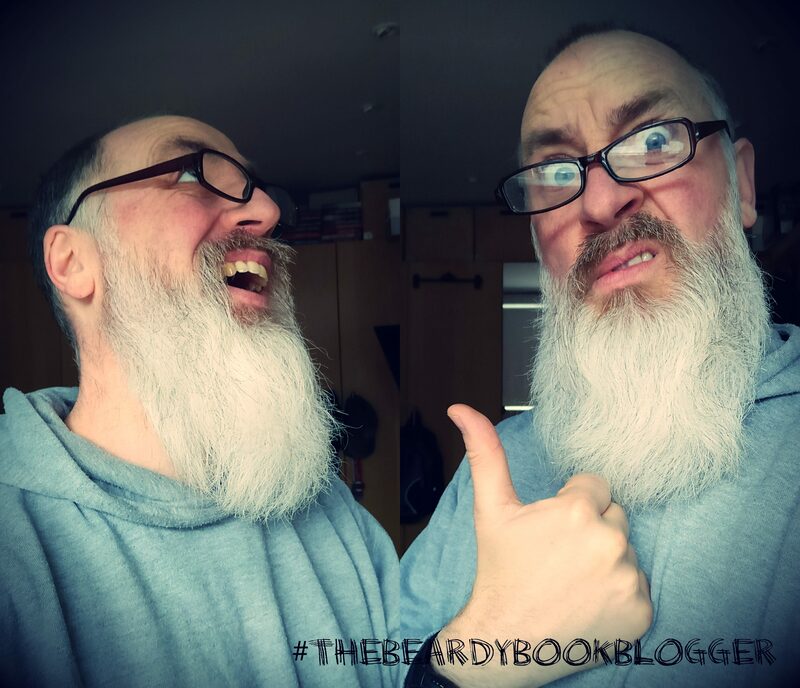 Welcome one and welcome all to my little hairy blog for my #Fahrenbruary Question and Answer post with the most excellent Paul Gadsby, author of “Back Door To Hell“, that book up there. Up there! That sodding great red and black picture; the one that has the book’s title splashed all over it. Okay, now we have that sorted, please scroll beyond the break for some enlightenment from Paul as to his inspiration for his two young protagonists in BDTH and to discover what his favourite biscuit is. Oh, you can find my review of this most excellent book right…… HERE. How did you come up with your ideas for Nate, Jen et al? PG: Well I kind of started with a central theme and then built the characters around that. It may sound weird but the makings of the theme came to me as I listened to the lyrics of Snow Patrol’s ‘Run’ as it played in the car one night when driving home from work. It’s funny how moments like that can serve as a prompt and stick in your head. Anyway, I pieced together an outline of a young couple – who’ve only recently met – who are forced into a dramatic situation where they need to rely on each other far more than they anticipated, and then crank up the conflict from there. Relationships are often at their most exciting early on, but I wanted to put a couple under serious strain while they also experience the thrills of getting to know each other and warming to each other. I also wanted their situation to be partly self-inflicted and partly down to unfortunate events beyond their control, so it was important to have one character suggesting the plan to steal their boss’s money and persuading the other to join them, so a line of accountability could be drawn by the reader. This is why Jen comes across as that little bit more driven and ambitious than Nate. Another thing that steered me in this direction was that in my last novel, Chasing the Game, the main character was in his early 40s, so for the sake of variety I wanted to spend time in the head of someone younger this time around. PG: No, I like treating fiction as an excuse to draw a blank canvas when it comes to creating characters. Especially as you need to make major characters larger than life while at the same time believable and accessible to readers. Obviously little snippets of real people, like fragments of speech patterns for example, may sneak in but that’s mainly with secondary characters in my experience – the core make-up of the main characters in my work is always made up. TBBB:If you could be any character in Back Door To Hell, who would it be and why? PG: I like the boldness of Jen and the commitment of Nate once he’s made the decision to join her on the plan, but they both also have weaknesses that affect their decision-making and their journey. And I certainly wouldn’t want to be anyone on Crawford’s side of the tracks! I think I enjoy reading and writing crime fiction with a noir element because all the characters essentially have both redeemable and unlikeable features, just not in equal measure, and I like that sense of escapism in believing that thankfully I’m not like them! TBBB: In your previous life you were a journalist for various different sources, how much of your writing is based on real life experiences? PG: I like to draw on life experience to help form certain aspects of a story or to flesh out a scene, especially with little visual details (like when describing someone’s office or perhaps their clothes). My time as a local news reporter was especially useful in meeting a wide range of people from different backgrounds, but I’d honestly say most of my influences come from reading crime novels or watching films and TV dramas. PG: Blimey, probably as far back as I can remember. As a kid I loved writing – just the sheer physical action of putting pen on paper and not stopping – and I worked through numerous notepads sketching together a batch of rambling stories that probably made little sense. I started writing bits of fiction (mainly short stories) while taking up creative writing options during a media studies degree I did back in 1995-98. I kept on dabbling with it and, after co-writing a non-fiction book about snooker published in 2005, started upscaling my fiction efforts to writing full-length novels. I attended a few courses, read books on the functions and structure of novel writing etc, and carried on with it despite failing to get taken on by an agent or mainstream publisher. Back Door to Hell is my third published book (second novel) over that time so it’s been a long hard slog. Finding the time to write outside of a full-time job is so difficult, but the actual mechanics of sitting down and writing is the part I enjoy the most, which is why I keep on doing it. The next novel is already underway! PG: As someone who’s tried to break into the publishing sector for a few years now, I’d say the presence and influence of indie publishers has never been more important. The mainstream publishing sector has always had a stilted, exclusive feel to it and I think the advent of digital reading has clouded so many people’s judgement (including so-called experts) of how to successfully bring books to market in the current climate. It’s all resulted in a streamlined output and the same names getting all the shelf space that counts, which is very unhealthy for the industry and the closure of some of my favourite independent bookshops on Charing Cross Road has been heartbreaking to see (hear hear: TBBB). The concept of Fahrenheit – a publishing house truly committed to releasing standout and experimental fiction across the crime spectrum, with the primary focus on the actual content – is a crucial one as mainstream publishers just won’t take a punt on anything remotely unfamiliar or something they’re not 100% certain will turn a profit (which is increasingly becoming books only written by celebrities or very established authors). TBBB: What does your writing day involve? Do you have any routines or writing superstitions? Those things that you just have to do. PG: I don’t really have the luxury of having a proper routine due to balancing my writing with a full-time day job and having a young family, so everything gets done whenever I can fit it in, which is mainly in the evenings. I do tend to self-edit as I go along which, judging from most of the writer interviews I’ve read, is contrary to the more common strategy of bashing out the first draft without worrying about any mistakes or inconsistencies and sorting everything out later. I often start a writing session by running my eye over what I did last time and giving it a polish, just to satisfy my editing urges and to get myself into the head of the character/story before attacking the blank page again. PG: I like writing standalone tales so I tend to plan book by book, then when it’s done move on to a fresh idea with different characters, settings and themes. I’m always writing notes so if an idea crops up for a new novel while I’m still writing another, I just jot it down for future use/consideration. TBBB: The cover for Back Door To Hell is simple, but very effective. The red and black really make it stand out. How important is a good book cover to you? PG: Judging a book by its cover is a natural and subconscious thing that we all do, so the artwork is crucial. When people are browsing in a bookshop, then you need your cover to stand out and grab their attention, but also to make sense by having the design align with the genre/theme of the book. The cover helps make that instinctive leap in the reader’s mind. The same goes for digital marketing. When people are scrolling through their social media timelines, your cover has got to cut through the clutter and catch their eye – and again the image and typography needs to instantly identify with their expectations of what a noir/cosy mystery/ historical crime book etc looks like. PG: During a working week, coffee until midday and then tea for the rest of the day/evening. Tea all through the weekend. Milk first every time (call me a maverick or lock me up). TBBB: What was your favourite toy as a child? My Star Wars figures. My friend across the street collected them too and during the school holidays we would play with them day and night. I’m pretty sure some of those figures are still dug deep in the soil of our parents’ front and back gardens. TBBB: My favourite TV show as a kid was the Six Million Dollar Man. I used to spend a lot of time pretending to be Lee Majors/Steve Austin and wishing I was actually bionic. I even hid electronics up my sleeves and down my shirt. What was your favourite TV show growing up? Did you have any heroes you wanted, or pretended, to be? PG: I loved The A Team. What a theme tune. If you know where to find them and you need help… probably don’t bother calling this lot as they were active in the 80s and are likely old men now and Mr. T has rusted up. Still, you never know. TBBB: Hard to argue with that. I used to watch this twice a week; once when it aired on a Saturday afternoon, and again the next day at my Aunt’s house on her new-fangled VCR player. Ah, those were the days.